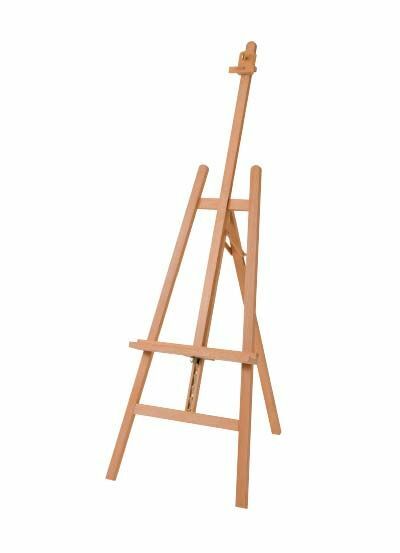 Full Size French Easel. 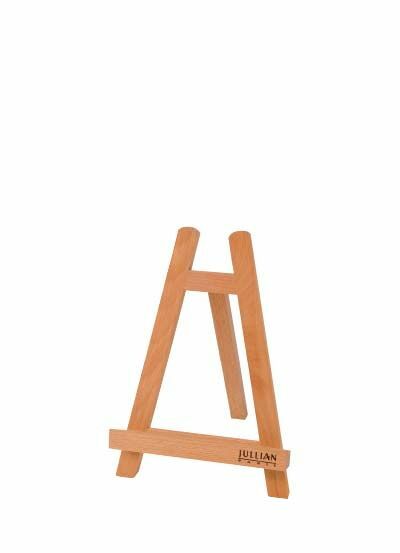 Made of Oiled Beechwood, it offers the main features of the successful original JULLIAN French Easel. 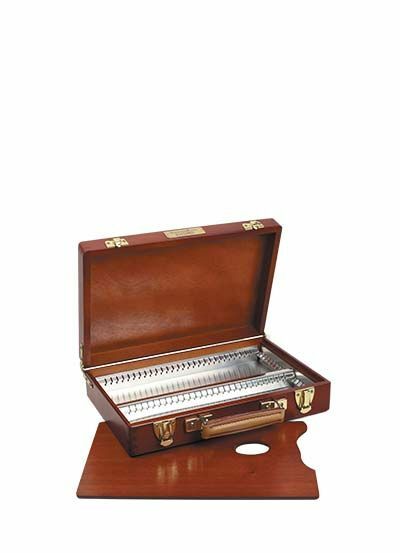 Metal lined interior drawer with adjustable dividers, brass plated fittings, varnished wooden palette, plastic moulded feet, natural linen shoulder strap. 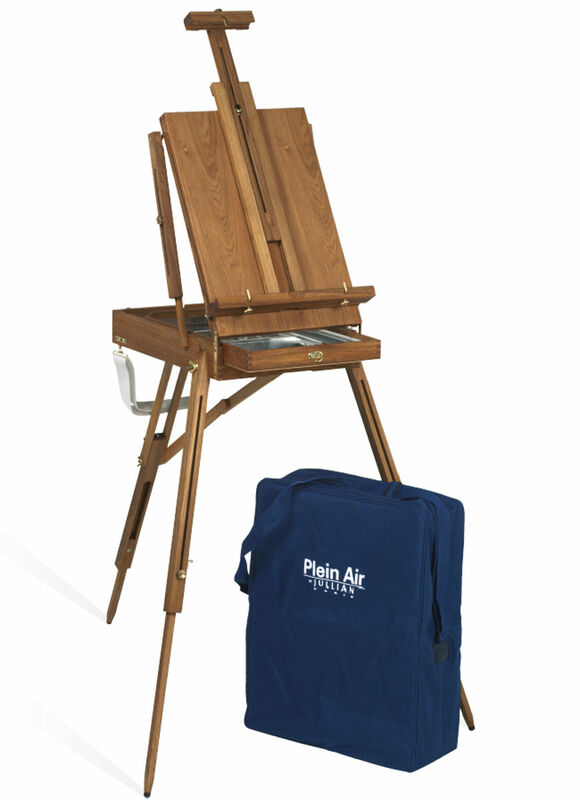 Genuine leather handle and assorted luggage tag. 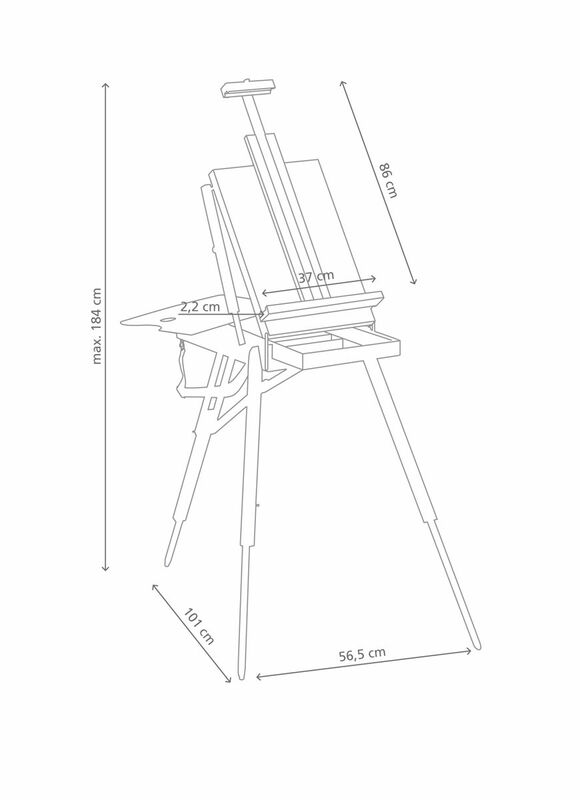 Supplied with a navy blue shoulder bag.